Business activity at Port Canaveral generated $2 billion and 17,000 jobs for the local community in 2012, up 73 percent in business revenue since the last economic impact analysis three years ago. Leading industry consulting firm Martin Associates of Lancaster, Pa., was commissioned to analyze cruise, cargo, real estate and marina activity at Port Canaveral, the world’s second busiest cruise port and central Florida’s outlet to the sea for cargo. The survey of 294 tenants and service providers found that Port Canaveral business activities generated an increase of 30 percent job growth, personal income of $808 million and $248 million in local purchases. State and local taxes paid totaled $74.3 million. 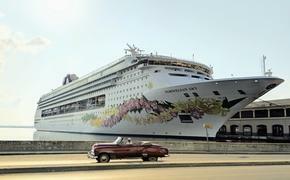 The study found that 40 percent of cruise passengers stay in a local hotel at least one night before their cruise and each passenger spends at least $100 while in Brevard County. Crewmembers were found to spend $385 per visit in the area, mostly on retail purchases.